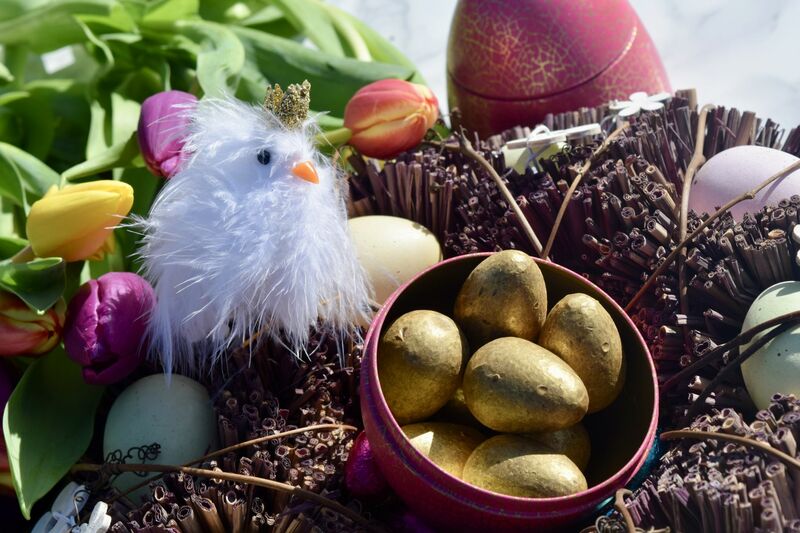 When it comes to Easter, it can sometimes feel like children get all the fun. Don’t get me wrong, I love a chocolate bunny as much as the next year (and I’ve got the posts to prove it coming up!) But when the cravings for chocolate strike, it’s nice to be able to treat yourself to something which feels a little more grown-up. 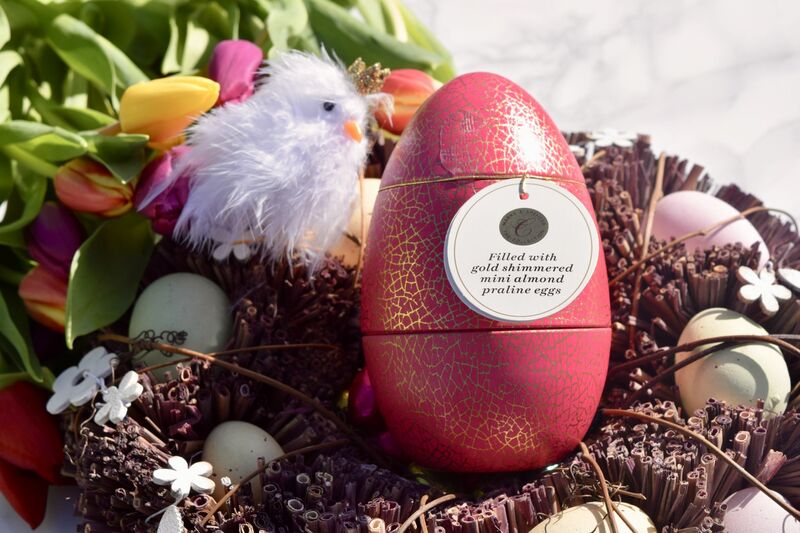 Which is why I’ve fallen more than a little in love with this stunning gift from M&S – a pink and gold metal egg which cracks open to reveal a surprise filling – a handful of gold shimmered eggs, filled with a rich almond praline. 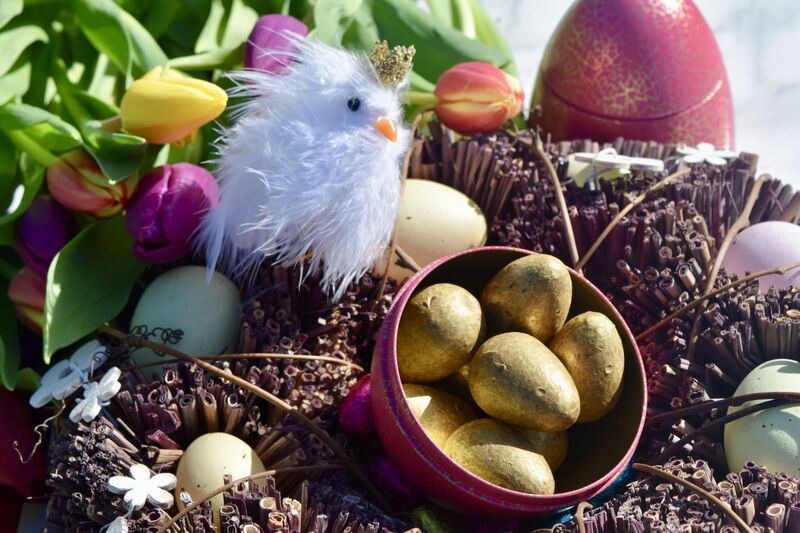 They’re certainly a showstopper – golden and glinting in the light, these look more like decorations than sweet treats. Happily though, they’re as delicious as they are pretty. 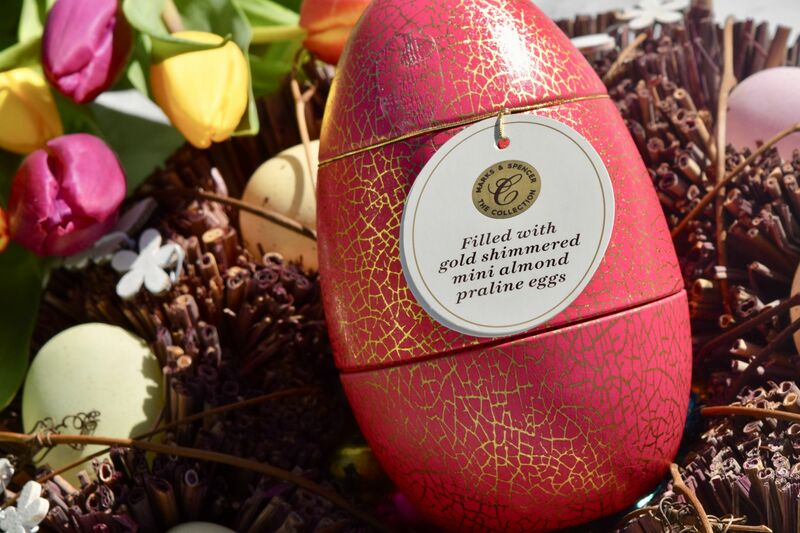 Each egg is surprisingly chunky in size, and they’re such a treat to enjoy! The crisp outer shell melts to reveal a creamy filling, filled with a rich and nutty almond praline. 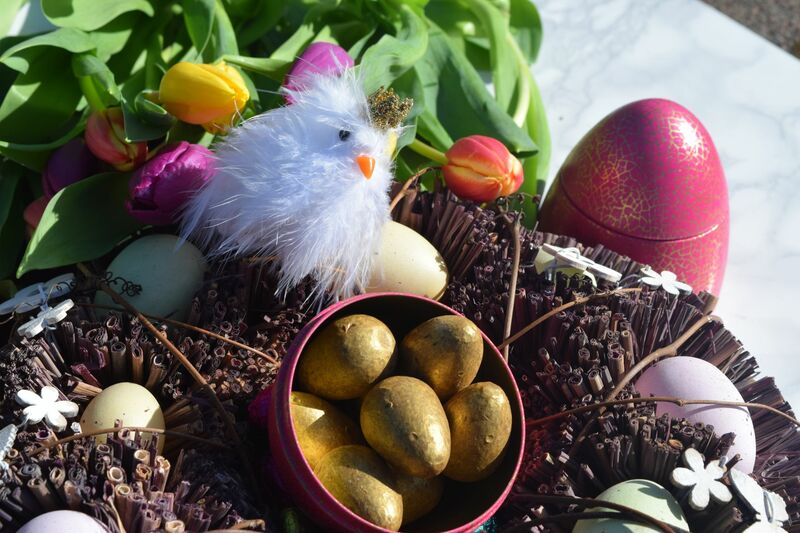 They’re a true adult egg which will make you wish it was Easter every weekend, and my favourite way to enjoy one? With a cup of piping hot coffee – delish!